Apple just posted an open letter called “Thoughts on Flash” and signed by Steve Jobs himself. The letter answers the “why not?” questions and covers six topics: Openness, the full web, security and performance, battery life, touch and drawbacks of relying on third-party development tools. You can read the full letter from the link above or you can take the shorter version by TUAW, here. The bottom line is – we will never see Flash on the iPhone OS. 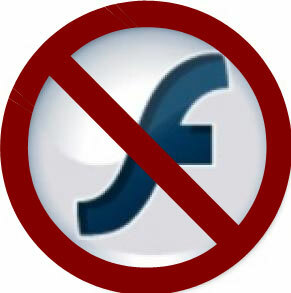 Well, it’s not wise to say “never” when it comes to technology, but 99.9% certain we will never see Flash on iPhone OS. And that’s fine by me. Screw you, Adobe. How long will flash live if we can’t use it on iphone,ipod or ipad, and it’s quite buggy on the mac. Thanks for a good blog BTW.. Previous post: Next iPhone To Be Announced June 7th?